Looking for an extra bed for when guests come over, but you don’t have enough room for a sofa bed? A handy 'chair bed'could be the answer to your problems. Chair beds are compact, multifunctional pieces of furniture that are available in lots of different shapes and styles, including armchairs. By day, it’s looks like a standard armchair, but by night (or whenever you fancy a siesta), it transforms into a single bed. There are lots of different kinds of armchair beds out there. Some are available as multi-adjustable armchair beds, which can be electrically profiled to help you rise to a sitting or even a standing position without effort. These are great for people with mobility issues. 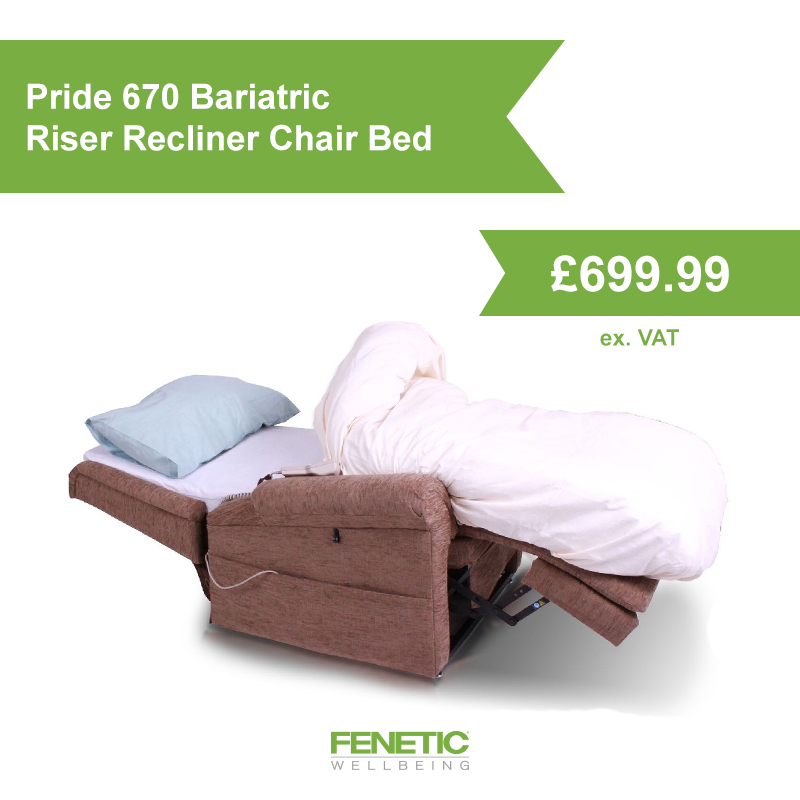 What the majority of armchair beds have in common is that they usually recline from a normal-looking armchair into a sleeping platform, and many come with an electric motor rather than a manual lever. Some versions are kitted out with removable covers for your convenience as well, so it couldn’t be simpler to keep them clean and fresh. Armchair beds are a particularly useful solution for those with smaller living spaces; they make for a very versatile piece of furniture for your living room. You can use them as a chair or a bed, or both. They tend to be the size of a single bed; some are slightly bigger, and others are slightly smaller, so bear this in mind when it comes to making a decision. You’ll need to make sure you have room around your chair for when it’s reclined as well as upright, so remember this when you’re planning the layout of your room. In addition, if you happen to have mobility issues or medical problems, these chairs can be a great help; it means you won’t have to transfer from a chair to a bed (or vice versa) when you need to go to sleep. Some even allow for independent adjustment of the leg and backrest (with different switches to control both elements), making it easy to find the most comfortable sleeping position for you. To take support to the next level, choose an armchair bed with a removable memory foam topper. As well as offering complete comfort, it boasts pressure-relieving properties for your body. Some toppers are covered with waterproof fabric, making them quick and easy to wipe clean. Armchair beds are absolutely safe to sit and sleep in. If you have one with an electric motor, it’s likely to have a battery back-up system – so if you happen to have a power cut at home, you won’t get stuck in one position. Instead, the battery power will safely return you to a seated or standing position. With so many different kinds of armchairs that turn into beds available today, why not choose one that fits in with the colour of your living room? If you feel like being a little bolder, you could even choose a bright shade to jazz up your guest room. Whatever fabric or design you decide to go for, your armchair bed will transform any compact space – whether it’s a guest room or a quiet corner of your lounge – into a comfy retreat. What are the best stress relieving chairs?